Calculator: The Game by Simple Machine solutions, answers, cheats for android and iOS devices. Below you will find a complete walkthrough with the solutions for all 199 levels in Calculator: The Game. 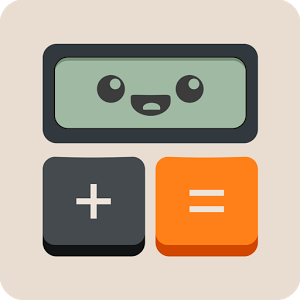 Calculator: The Game is a math puzzle game in which you manipulate numbers by adding them, subtracting them, converting them, reversing them, and even stuffing them through portals, with the goal to find the right answers using all the buttons in each level. 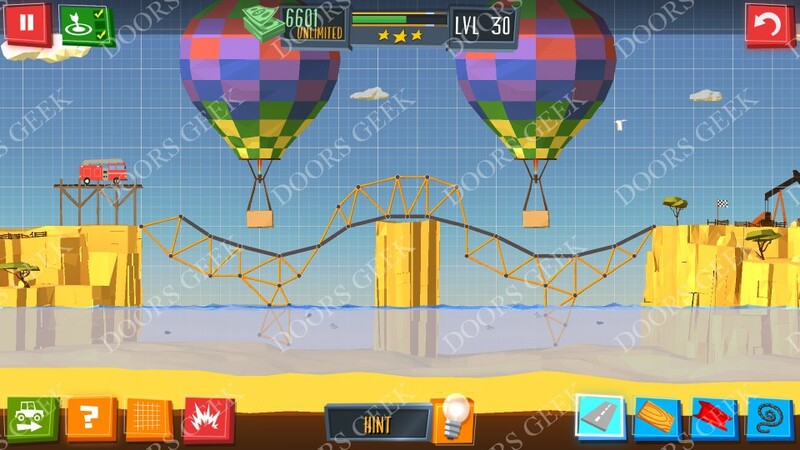 The game will get really hard quite fast, and solving each level will prove to be a world class challenge. If you need help finding the solution to one of the levels you'll find below a complete list with all the solutions! Note: Some of the levels numbers may be different in your game, just look for the "Goal" instead.. Build a Bridge! by BoomBit Games Hidden Level 6 solutions 3 stars + extra objectives for android, iphone, ipad, ipod. Test your engineering and improvisation skills in a puzzle game where the stakes are as high as they get. It is you who will construct bridges for cars, trucks, busses... And sometimes even monster trucks. Gather your wits and get on with the construction! Below you can find screenshots with the solutions on how to get 3 stars in Hidden Level 6 and how to complete the 3 extra objectives! Build a Bridge! Hidden Level 6 Walkthrough, Cheats, Solution for Android, iPhone, iPad, iPod. Note: This is "Build a Bridge!" 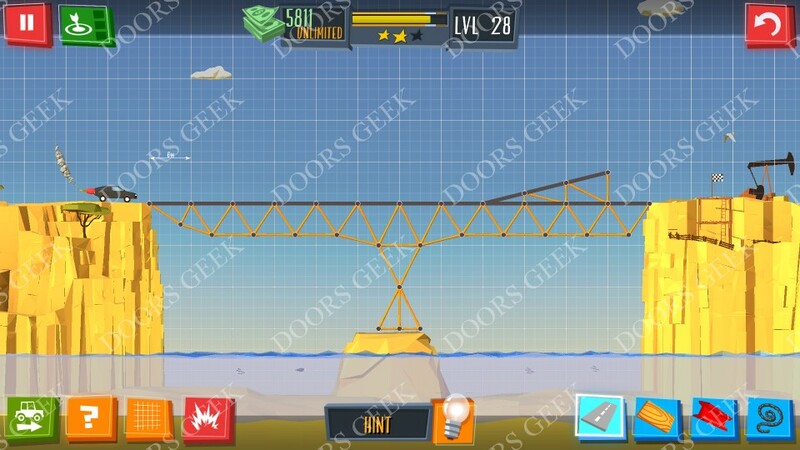 by "BoomBit Games"
Build a Bridge! by BoomBit Games Hidden Level 5 solutions 3 stars + extra objectives for android, iphone, ipad, ipod. 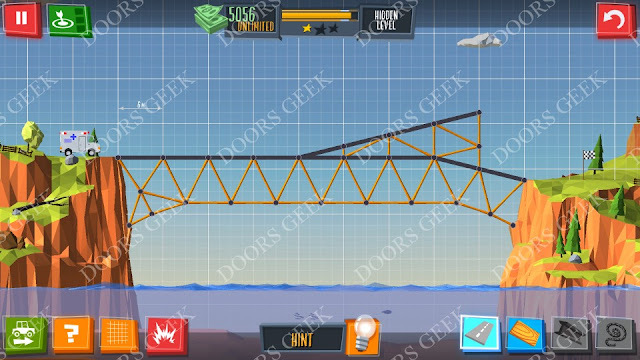 Test your engineering and improvisation skills in a puzzle game where the stakes are as high as they get. It is you who will construct bridges for cars, trucks, busses... And sometimes even monster trucks. 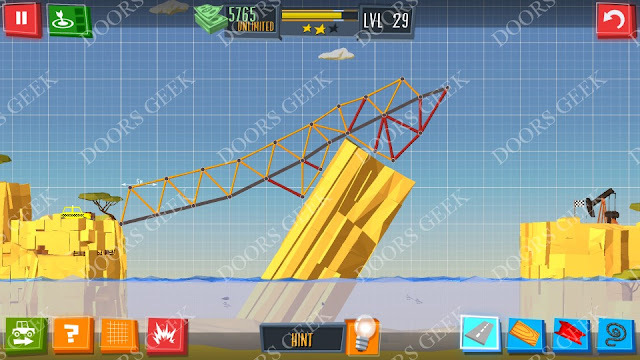 Gather your wits and get on with the construction! Below you can find screenshots with the solutions on how to get 3 stars in Hidden Level 5 and how to complete the 3 extra objectives! Build a Bridge! 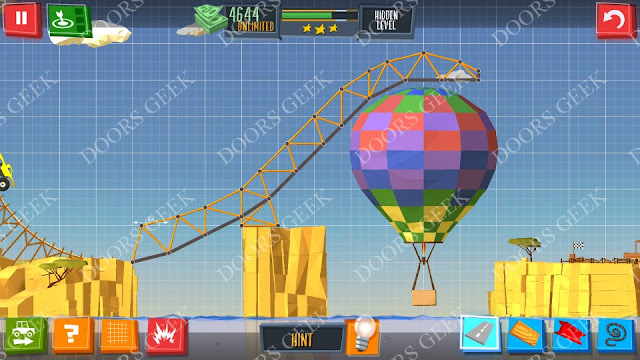 Hidden Level 5 Walkthrough, Cheats, Solution for Android, iPhone, iPad, iPod. 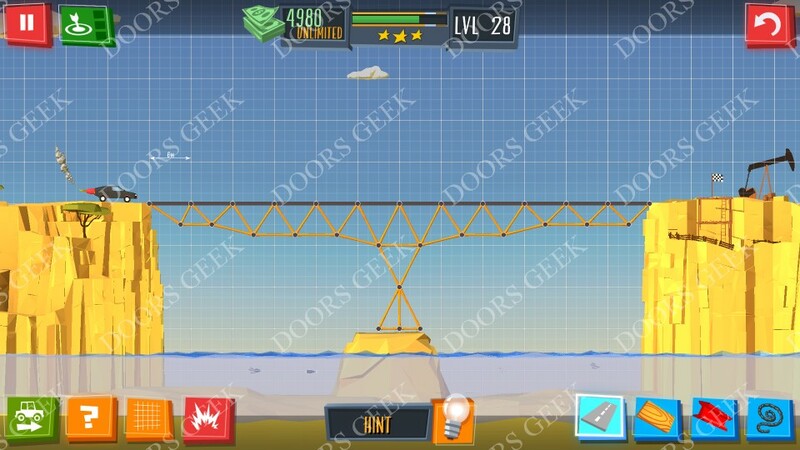 Build a Bridge! by BoomBit Games Hidden Level 4 solutions 3 stars + extra objectives for android, iphone, ipad, ipod. Test your engineering and improvisation skills in a puzzle game where the stakes are as high as they get. 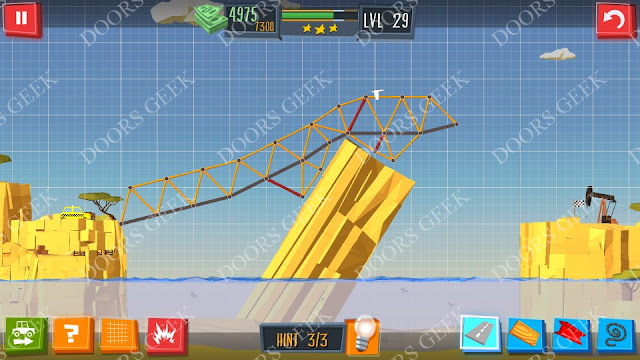 It is you who will construct bridges for cars, trucks, busses... And sometimes even monster trucks. Gather your wits and get on with the construction! 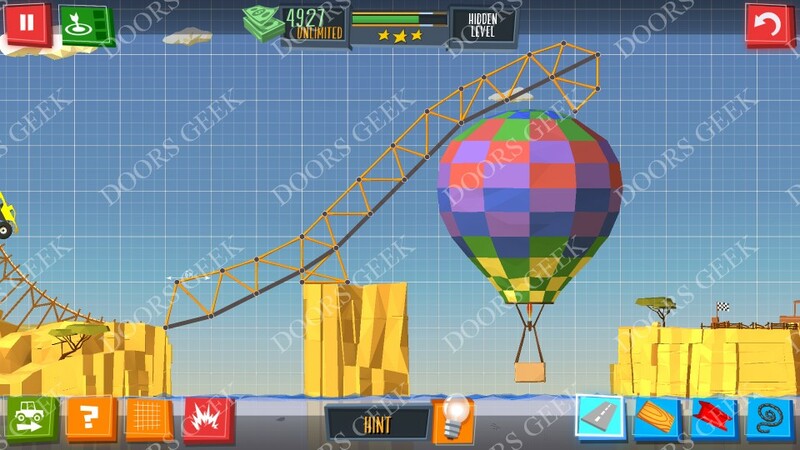 Below you can find screenshots with the solutions on how to get 3 stars in Hidden Level 4 and how to complete the 3 extra objectives! Build a Bridge! Hidden Level 4 Walkthrough, Cheats, Solution for Android, iPhone, iPad, iPod. Build a Bridge! 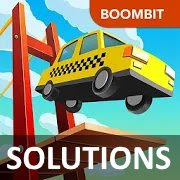 by BoomBit Games Hidden Level 3 solutions 3 stars + extra objectives for android, iphone, ipad, ipod. Test your engineering and improvisation skills in a puzzle game where the stakes are as high as they get. It is you who will construct bridges for cars, trucks, busses... And sometimes even monster trucks. Gather your wits and get on with the construction! Below you can find screenshots with the solutions on how to get 3 stars in Hidden Level 3 and how to complete the 3 extra objectives! Build a Bridge! Hidden Level 3 Walkthrough, Cheats, Solution for Android, iPhone, iPad, iPod. Build a Bridge! by BoomBit Games Hidden Level 2 solutions 3 stars + extra objectives for android, iphone, ipad, ipod. Test your engineering and improvisation skills in a puzzle game where the stakes are as high as they get. 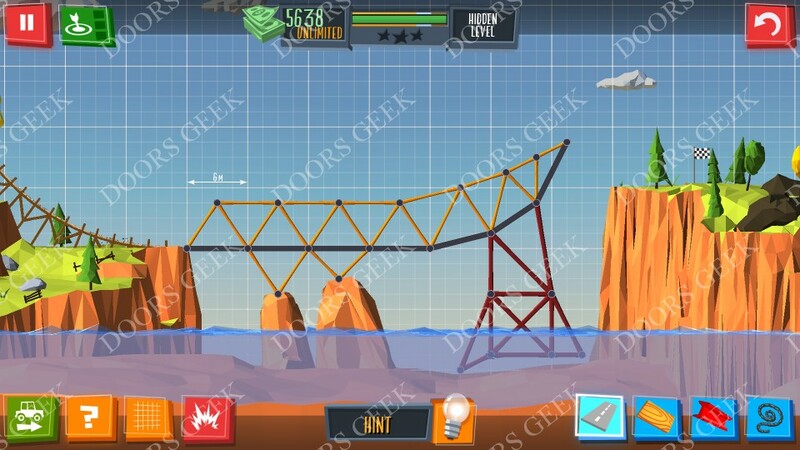 It is you who will construct bridges for cars, trucks, busses... And sometimes even monster trucks. Gather your wits and get on with the construction! Below you can find screenshots with the solutions on how to get 3 stars in Hidden Level 2 and how to complete the 3 extra objectives! Build a Bridge! Hidden Level 2 Walkthrough, Cheats, Solution for Android, iPhone, iPad, iPod. 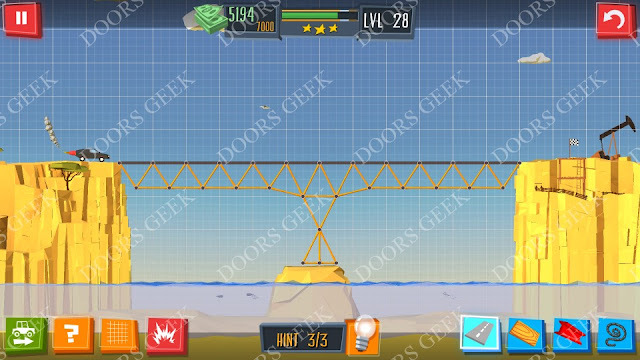 Build a Bridge! by BoomBit Games Hidden Level 1 solutions 3 stars + extra objectives for android, iphone, ipad, ipod. 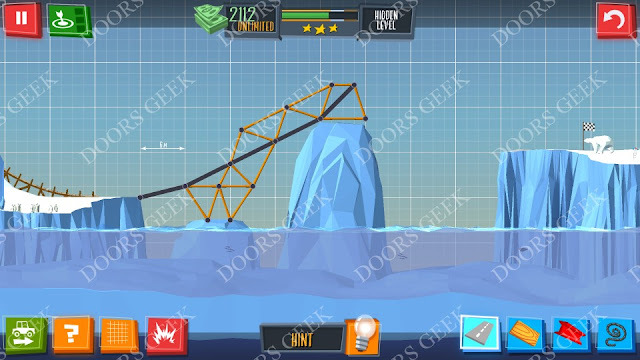 Test your engineering and improvisation skills in a puzzle game where the stakes are as high as they get. It is you who will construct bridges for cars, trucks, busses... And sometimes even monster trucks. Gather your wits and get on with the construction! 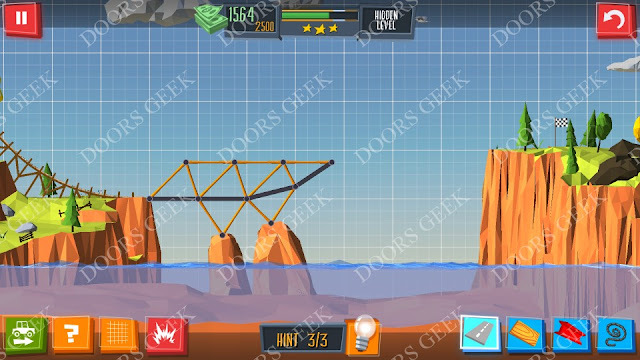 Below you can find screenshots with the solutions on how to get 3 stars in Hidden Level 1 and how to complete the 3 extra objectives! Build a Bridge! Hidden Level 1 Walkthrough, Cheats, Solution for Android, iPhone, iPad, iPod. 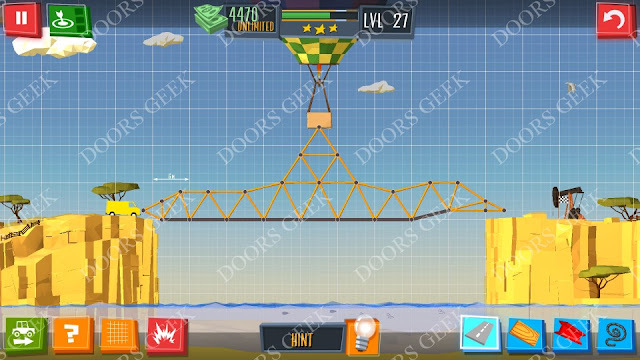 Build a Bridge! by BoomBit Games Level 30 solutions 3 stars + extra objectives for android, iphone, ipad, ipod. 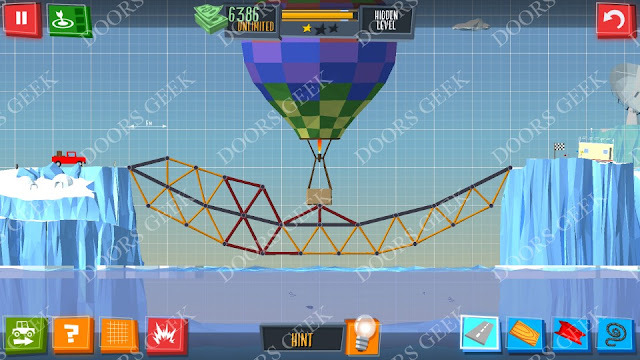 Test your engineering and improvisation skills in a puzzle game where the stakes are as high as they get. It is you who will construct bridges for cars, trucks, busses... And sometimes even monster trucks. Gather your wits and get on with the construction! Below you can find screenshots with the solutions on how to get 3 stars in Level 30 and how to complete the 3 extra objectives! Build a Bridge! Level 30 Walkthrough, Cheats, Solution for Android, iPhone, iPad, iPod. 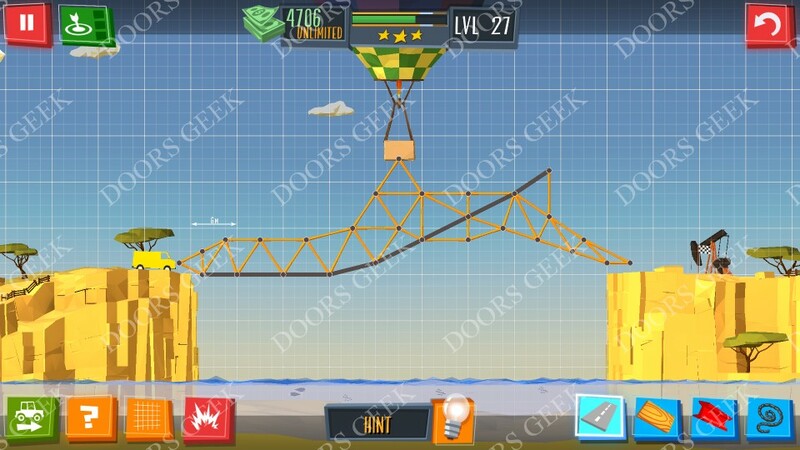 Build a Bridge! by BoomBit Games Level 29 solutions 3 stars + extra objectives for android, iphone, ipad, ipod. 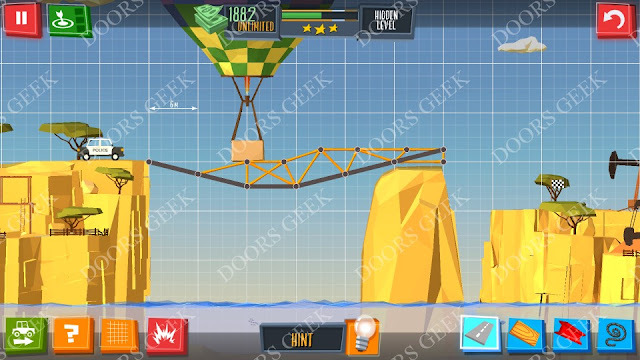 Test your engineering and improvisation skills in a puzzle game where the stakes are as high as they get. 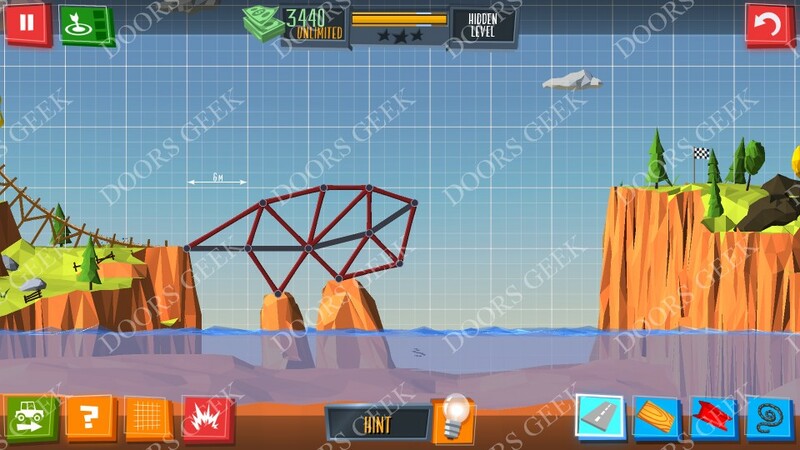 It is you who will construct bridges for cars, trucks, busses... And sometimes even monster trucks. Gather your wits and get on with the construction! Below you can find screenshots with the solutions on how to get 3 stars in Level 29 and how to complete the 3 extra objectives! Build a Bridge! Level 29 Walkthrough, Cheats, Solution for Android, iPhone, iPad, iPod. Build a Bridge! by BoomBit Games Level 28 solutions 3 stars + extra objectives for android, iphone, ipad, ipod. Test your engineering and improvisation skills in a puzzle game where the stakes are as high as they get. 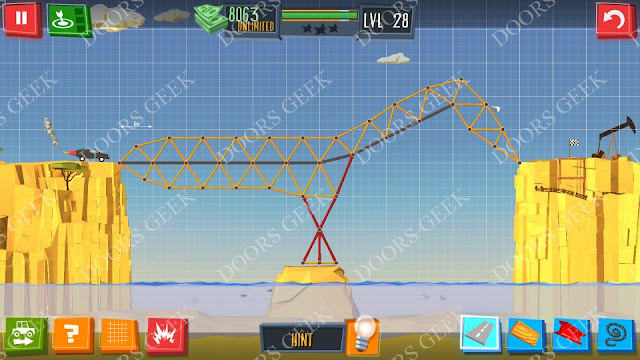 It is you who will construct bridges for cars, trucks, busses... And sometimes even monster trucks. Gather your wits and get on with the construction! 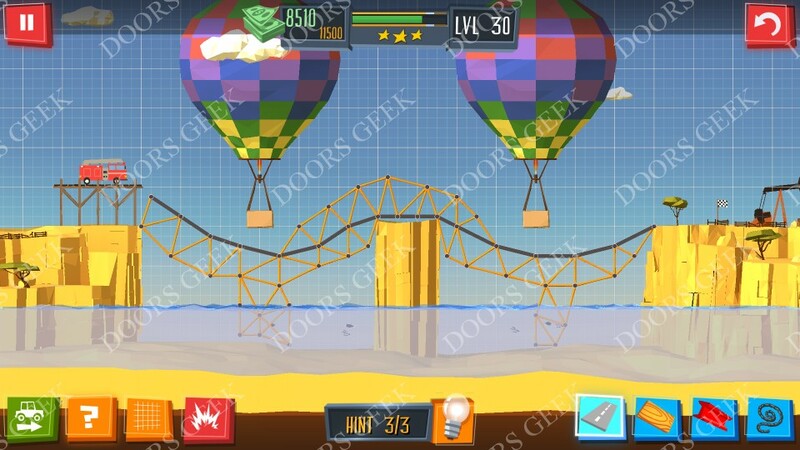 Below you can find screenshots with the solutions on how to get 3 stars in Level 28 and how to complete the 3 extra objectives! Build a Bridge! Level 28 Walkthrough, Cheats, Solution for Android, iPhone, iPad, iPod. Build a Bridge! by BoomBit Games Level 27 solutions 3 stars + extra objectives for android, iphone, ipad, ipod. Test your engineering and improvisation skills in a puzzle game where the stakes are as high as they get. 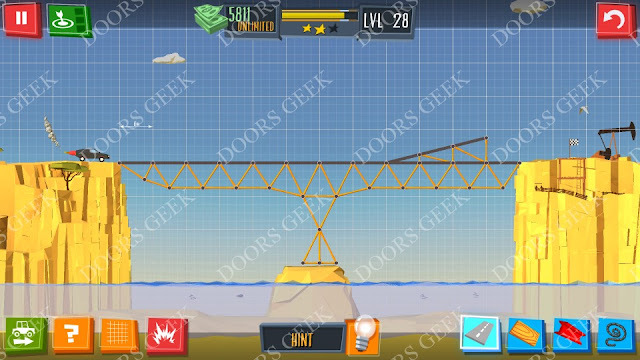 It is you who will construct bridges for cars, trucks, busses... And sometimes even monster trucks. Gather your wits and get on with the construction! 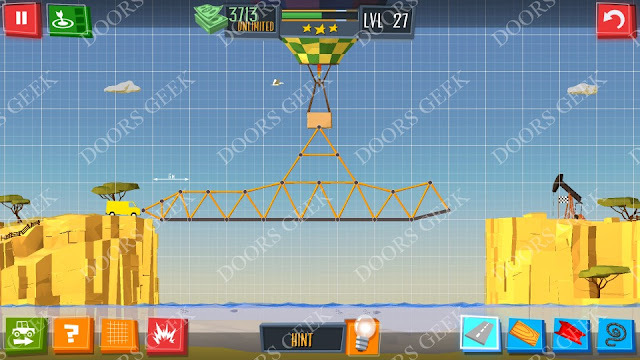 Below you can find screenshots with the solutions on how to get 3 stars in Level 27 and how to complete the 3 extra objectives! 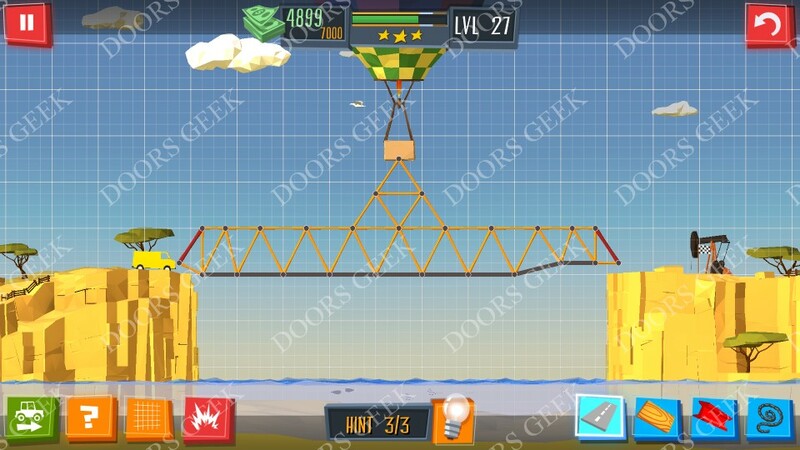 Build a Bridge! 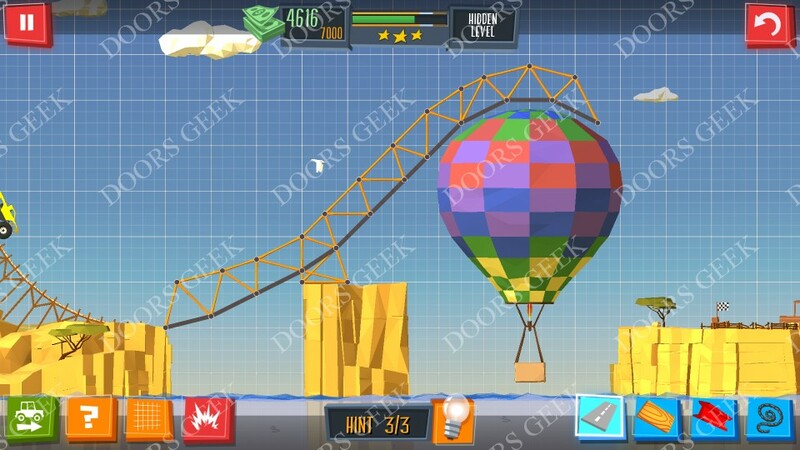 Level 27 Walkthrough, Cheats, Solution for Android, iPhone, iPad, iPod.